Allu Arjun is going to work in Dil Raju's production after a gap of seven years. Shooting is going to start in August or September. On the other hand, Harish Shankar and Devi Sri Prasad are also teaming up after a gap of four years. Another interesting fact is that this will be the third film for both Allu Arjun as well as Harish Shankar in Sri Venkateswara Creations banner. This big budget film will be released in summer 2017. 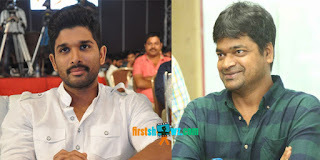 "After Arya and Parugu, Allu Arjun is working again in our banner after a gap of seven years. Harish Shankar, who delivered the successful Subrahmanyam for Sale in our banner, is going to direct this movie and he has readied a superb subject for Bunny. It will be perfect for Bunny's image and body language. This movie will be formally launched soon", said Dil Raju. Details about the other actors and technicians will be announced soon.